SSA Aaron Hotchner Let's talk about Hotch! Yay, a Hotch Forum!!! :D Great Helga!! That he is very fascinating,he is dark, strong, loyally, handsome and compassionately. And he really cares about the Team, and I mean every single one. He's wonderful. You just got to love him! I agree with the statement above, he's such a great guy and totally gorgeous lol He's always concerned with others but he also has that 'hard' exterior/presence. I have seldom seen such a fascinating and handsome man. I love every moment with him. When I regard the pictures from the first series and I see then your pictures from the last episodes ... What a difference! 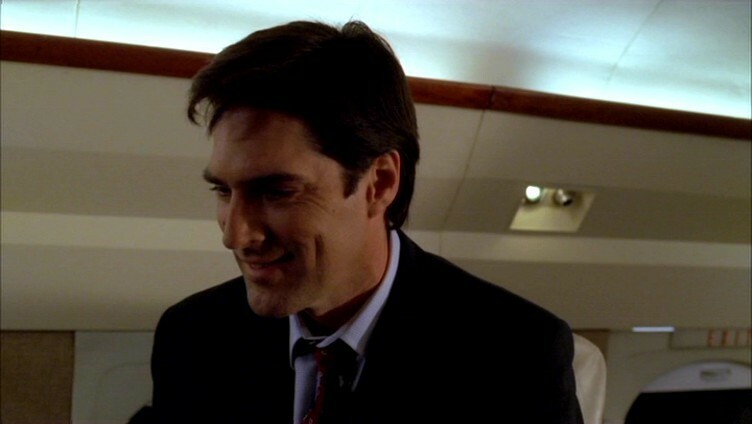 In the first series Hotch seemed still really "eased" and even sometimes smiled. And now I must see a strained, furious, sad and often dreadful tired man. He is really crushed by his duties and also his loyalty. It is an excellent acting performance of Thomas Gibson. Criminal Minds hopefully still is continued for a long time with him!